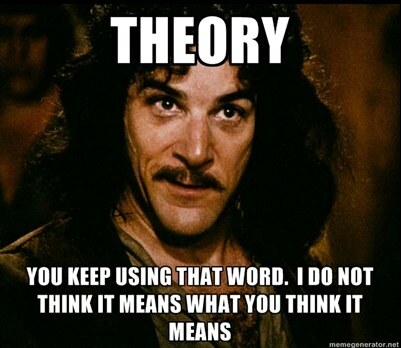 I’ve been hearing the “evolution is just a theory” crap much too often lately. And I imagine I’ll be hearing much more of it in the coming months. It prompted me to use it as the theme of my latest opinion column, this time published in the Daytona Beach News Journal today: Banish ‘evolution is just a theory’ with sound science education. And yet “evolution is just a theory” is suddenly popping up in conversations across Florida. Science education is facing an unprecedented attack not seen since 2008 when state board of education members and state lawmakers tried to override science education experts’ revision of the state science standards. Prominent scientists, science associations and educators rallied behind the accurate standards that included evolution as a prominent, required topic. They barely squeaked out a win on behalf of our state’s students against the “just a theory” mob. And here we are a decade later fighting the same old battles. It’s embarrassing. Don’t drag Florida back onto the national stage to be laughed at just like we were in 2008. Let our teachers break this ridiculous cycle by properly teaching the next generation what a scientific theory really means. Through truly rigorous education maybe we can finally put behind us the “evolution is just a theory” dunces.